When Sharon Boyd sent a hand-written message of appreciation to the team at Mission Breast Center, it warmed their hearts. I am writing to express my thanks and gratitude to the wonderful staff at Mission Breast Center. Over the past couple months, I had several mammograms, ultrasounds and biopsies. Each person I dealt with was so very considerate and compassionate. They were all supportive and encouraging during the procedures. I thanked each one personally, but I also wanted to let you know what a wonderful job they were doing. These uncomfortable and scary appointments were made bearable by their care. 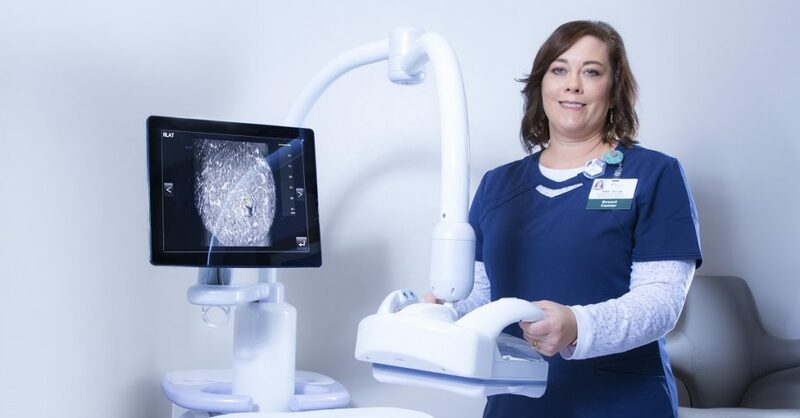 Click here  to learn more about the imaging services and procedures offered by Mission Health.